It just seemed like yesterday! 25 golden years and the Institution stands tall in the city for its character, its alumni, its learners and the various stakeholders associated with it. Teaching is a commitment, a sincerity, a calling. The times are changing and today the quest for a student is to locate an institution which has a good, strong and a committed faculty, which will inspire him/her to achieve the skills they need to live in this competitive world. The school truly embodies this in letter and spirit. Our teachers have proved that every day is a celebration and there is nothing as powerful as a human spirit which is on fire! This year has been especially good. 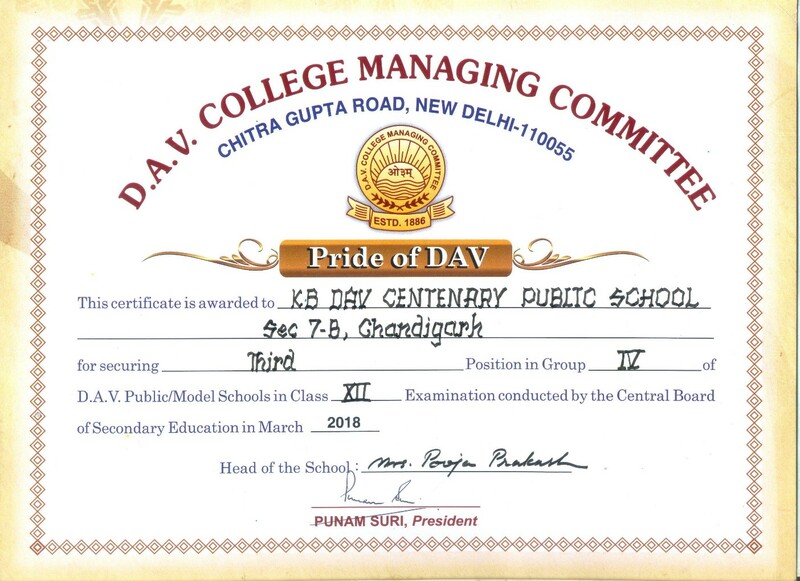 The school clinched the Second, Third and Fourth Positions in the Tri-City in the CBSE Class Xth All India Secondary Board Examinations 2018. 80 students scored 90% and above. Close on the heels, 36 students of Class XIIth (Med/Non-Med & Commerce) scored 90% and above in the CBSE Senior Secondary Board Examinations 2018. Now is the time to look yonder, yet always remember that nothing can replace the precious bond shared between a mentor and his/her protege. I wish all the stakeholders a fulfilling year ahead, where every dream shall be realized and every effort will be fruitful!